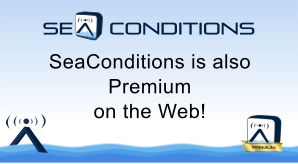 Discover MySeaConditions! Register and access all new customized services: favourite places and customized settings for a better experience with SeaConditions. By registering, you furthermore will be able to discover the new services offered by the world of TESSA: decision support system for safe and efficient routes, for search and rescue and for oil spill forecasting.